Competition in hospital services has been fostered in an increasing number of OECD countries with the goal that hospitals improve quality and/or efficiency. 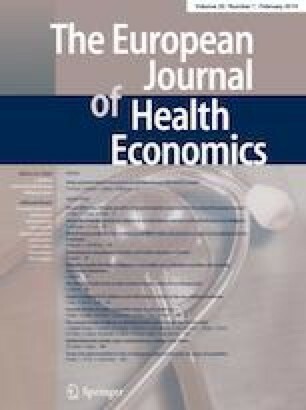 With the same intention competition has been promoted in Germany when introducing a system of prospective payments based on diagnosis-related groups (DRGs) in 2003. Beyond its intended effects, however, the reform led to a substantial increase in hospital activity, particularly for orthopaedic surgery. To shed more light on these developments, this paper analyses the relationship between the rates of certain orthopaedic surgical procedures and hospital competition across and within each of Germany’s 402 districts. We measured competition with the Herfindahl–Hirschman Index (HHI) based on market shares for hip replacements, knee replacements and spine surgeries. Using spatial panel regression, which allows for spatial dependency and unobserved individual heterogeneity, we found that the rate of hip and knee replacements rose as market concentration increased. A potential explanation might be that hospitals specialize in these particular procedures. The online version of this article ( https://doi.org/10.1007/s10198-018-0990-2) contains supplementary material, which is available to authorized users. This project was funded by the German Federal Ministry of Education and Research (BMBF, grant number 01EH1202A). An ethic approval was not required for this study.